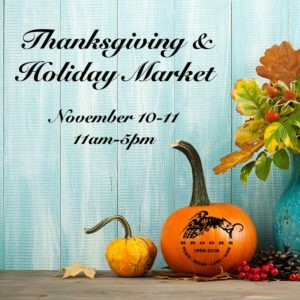 Join us for a Thanksgiving and Holiday Market featuring Brooks Wine and local vendors. $20 entry fee gets you a glass of wine, small bites, and access to the market. See all of our guest vendors below!